We appreciate good work and don’t mind when clients tell us how their visit went. We want to make sure we’re being thorough, knowledgeable, and diligent. That’s why we call our clients neighbors. Because we live in work in Central Florida, and we want you to know that you can depend on us to provide excellent service. 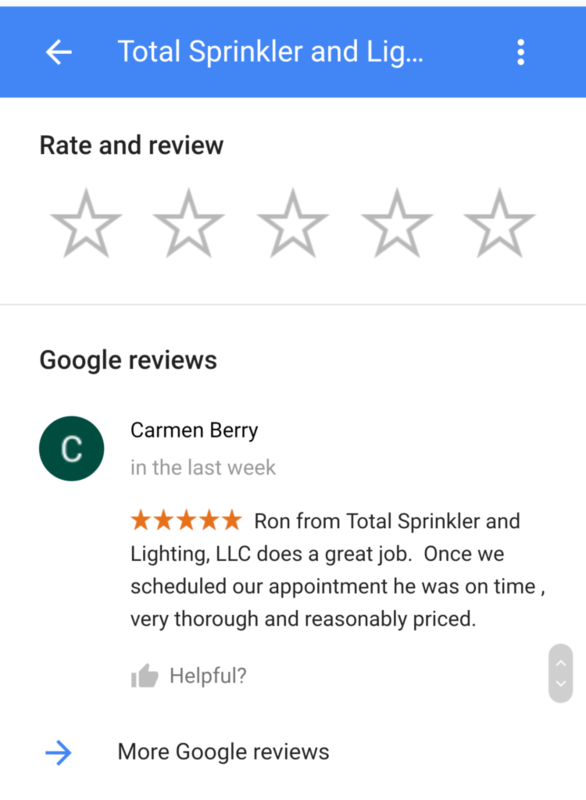 If you would like to leave us a review, click here. If you’re in need of sprinkler or landscape lighting repair, give us a call. It would be our pleasure to serve you.